The War Doctor (John Hurt) steals 'The Moment', or (as Whovians will know it as) Bad Wolf. 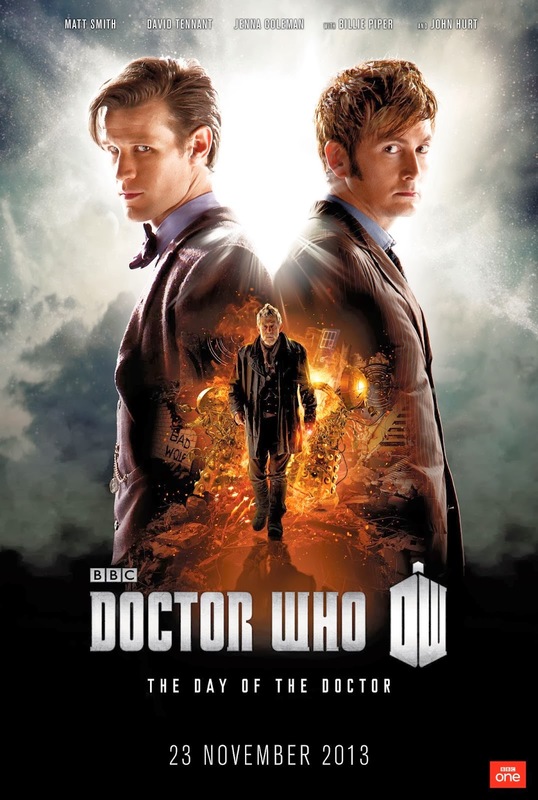 When contemplating using The Moment to destroy Gallifrey, along with all the Time Lords and Daleks, the Bad Wolf opens a time rift to the two most recent Doctors (David Tennent and Matt Smith) to see the effect it will have on his conscience. The story was great, and while it does take a second to understand its no Looper, but the smartest science moment for me ended in being pawned off as a cheap joke and it was a huge disappointment to see how such a good opportunity wasted. Having three Doctors together was not just a gimmick, the actors played off each other well but some of the lines felt like they forgot they were all the same character. Some moments they had perfect harmony in even body moments, but that was mainly between Tennant and Smith's Doctors. Classic Doctor (and fellow Eccleston)fans will be happy to see all of the incarnations do make a couple of appearances with a certain classic one making a huge cameo as himself. Even Capaldi's 13th Doctor makes a cameo, even if it's just his eyes at his TARDIS control panel. 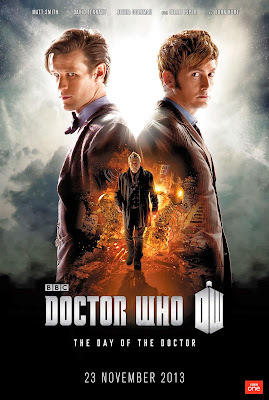 Great acting, great jokes, and a great story make a fantastic Doctor Who and even standalone movie with only one or two down points. I recommend watching it even if you're not a Whovian as it might convert you and if it won't it's thoroughly entertaining on it's own. Lovely husband is a bit Who fan and he's managed to convert me to the new stuff (still can't stand Classic Who). I enjoyed The Day of the Doctor and also An Adventure in Space in Time (although it was basically quite a sad story). Urban Decay Naked 3 News! The Day of the Doctor: Tomorrow's the DAY! November's Glossy Box Unboxing: Spoiler Alert!